What does it take for Mold to Grow in Seattle? Posted on November 9, 2012 at 2:42 pm. How Does Mold Grow in Seattle? 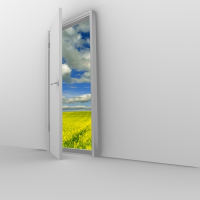 Many people are amazed when they discover that they have mold growing in their home. The problem is, they’re not thinking of mold in the right way…they equate it with dirty living conditions. You can have a very clean house, and still have mold. It’s not about the dirt, it’s about mold spores that colonize anywhere there is moisture, oxygen and organic material for them to feed on. Mold spores are extremely tiny and invisible to the naked eye, but the damage they can do is not. Once mold gets started, it doesn’t take long to take hold and begin the damage. If you’re wondering what type of damage mold can cause in your home, ask the victims of Hurricane Katrina and most recently Hurricane Sandy. The news talks about power outages, shortages of gas, no food, no water, injury and evacuations. What you don’t always hear about is the destructive force of mold. Once any type of water damage occurs, you only have 24-48 hours before mold begins to grow. If you can repair and stop the damage right away, you probably don’t need to worry. 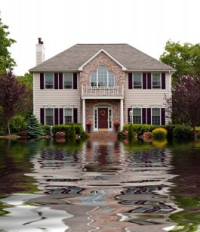 But in natural disasters where homes are evacuated and flooded, it’s unlikely that homeowners will not be able to return soon enough to stop the damage. For homes (or any other buildings) that were left standing in water after the storms, mold will be their largest enemy. By the time people were able to re-enter their homes after Katrina, mold was growing everywhere and the homes were beyond repair. But it doesn’t take a hurricane for mold to begin growing, it only takes a leaky pipe, too much condensation or lack of good ventilation. 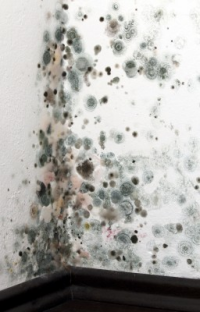 Mold doesn’t go away on its own…if your home has had water damage that has encouraged mold growth, don’t try to deal with it yourself, you could actually make matters worse – call trained mold inspectors and remediators. They know how to solve your mold issues safely and without spreading the spores so they can start again. 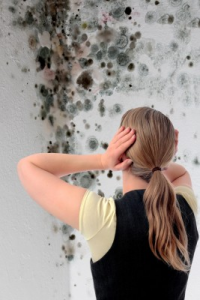 Can Mold Cause Breathing Difficulty in Seattle? Posted on October 30, 2012 at 3:51 pm. What Could Cause Your Breathing Difficulty? When the problem is allergies, the symptoms could be caused by pollens, dust or mold. 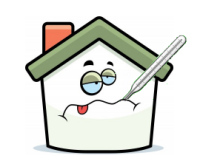 When mold is the culprit, it can increase the intensity and frequency of all of the illnesses or conditions listed above. This is a communication between a client and me in regard to a respiratory problem from a tenant. Thank you for having me out to your client’s home to figure out what might be causing some of their respiratory issues. I am not a medical professional, but in the course of my mold investigation I did notice that the level of humidity in their apartment is on the high side, possibly creating an environment conducive to organic growth. There was some evidence of organic growth under their mattress, but nowhere else was anything visible. There are some other factors too that might be contributing and I have listed them out and thoughts on ways to keep these things in check in the attachment. I believe that if the tenants give some consideration to the ideas in that attachment as well as you possibly providing them with a dehumidifier to keep moisture content of air down, (between 40 and 50% is what we want to see, higher than that creates conditions for mold growth). There may be some dust issues there as well, which can create allergic reactions for folks and is easily rectified. Both mold and dust can be very detrimental to your ability to breathe…luckily the couple in our story didn’t have a big issue in their home, it was one that could be easily rectified. Mold Solutions NW’s goal is to help you breathe easier with a complete and thorough inspection. If you or someone else in your family is experiencing difficulty breathing and it can’t be associated with a medical condition, contact us for a Free Mold Assessment.